Well, I have no words to express my emotions for you. 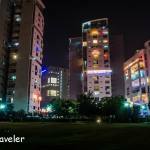 For desi Traveler is a family blog, so let us leave it there. Leh is not a milestone that you need to touch and move on, Leh is not a medal that you need to hang on your chest, Leh is not a girl you have a crush on and you need to get her phone number to make blank calls. (That, by the way, is so last century, now it is called stalking). I am not against going to Leh but I am totally against getting Lehed. By using that term I feel you are disparaging a city that has hidden in her bowels a beacon of light that has been protected and nurtured by the joint heritage of India, Tibet, and Central Asian collective consciousness. Leh was the last Shangri-La , the city made of legends till everybody and their massi from Tilak Nagar and fufad from Kalka Jee wanted to get Lehed. And what for so that you could post a selfie with a bottle of beer in one hand and Pangong Tso barely visible behind your ample bottom enormous SUV. May I suggest Surajkund instead ? You will get the selfie save you a long drive and still be back home in time for “ Mummy jee kay hath ka khana,”, just make sure you stop at the nukkad key panwadee to stuff your mouth with pouches of paan masala. Still with me ? OK so let us go to Leh for the right reasons. Let us go to Leh because there is no other place like Leh on this earth. Where Oxygen is rare but hospitality is a plenty. Let us go to Leh for the last surviving Cold desert whose bone freezing temperature is not able to diminish the warm smiles on the faces on Ladakhi Kids. 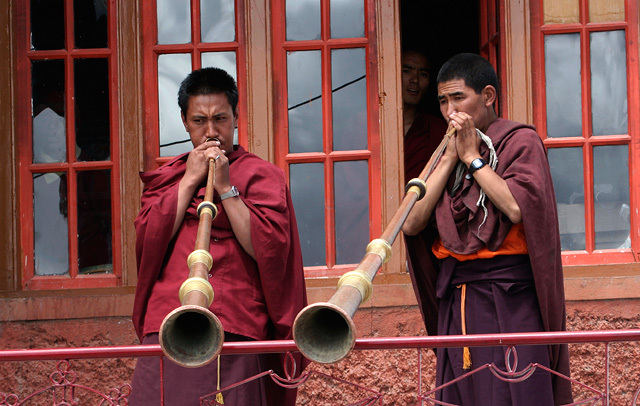 Let us go to Leh this September for the Kumbh Mela of Himalayas as the Naropa Festival Leh is known as. Now if you are like me you too would not have heard about Naropa Festival and all you knew about Leh is that it is the place where Rancho lived, you want to see the Rancho School and all those filmi things. May I suggest go back to the first paragraph of this post and read it again? So what opened my eyes about the right reasons to visit Leh ? Well, a chance lucky meeting with His Eminence Thuksey Rinpoche one of the regents of the Drukpa Order announced the dates of Naropa 2016 at the recently concluded Hemis Festival in Leh. Referred to as the “Kumbh Mela of the Himalayas”, the Naropa Festival 2016 commemorates the millennial birth anniversary of Naropa in a month-long celebration throughout September at Hemis Monastery, the seat of the Drukpa Order in Leh. In a brief meeting with His Eminence, I learned so many things about Ladakh and its people and the belief system that goes beyond the religion and is actually very humanitarian and pro-planet. 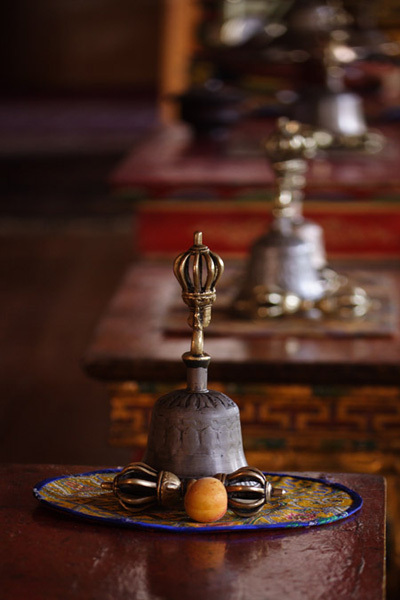 While the Drukpa order is a religious order and is the official form of Buddhism followed in the Kingdom of Bhutan, some of the work undertaken by the order and its followers will make you stand and take a bow. 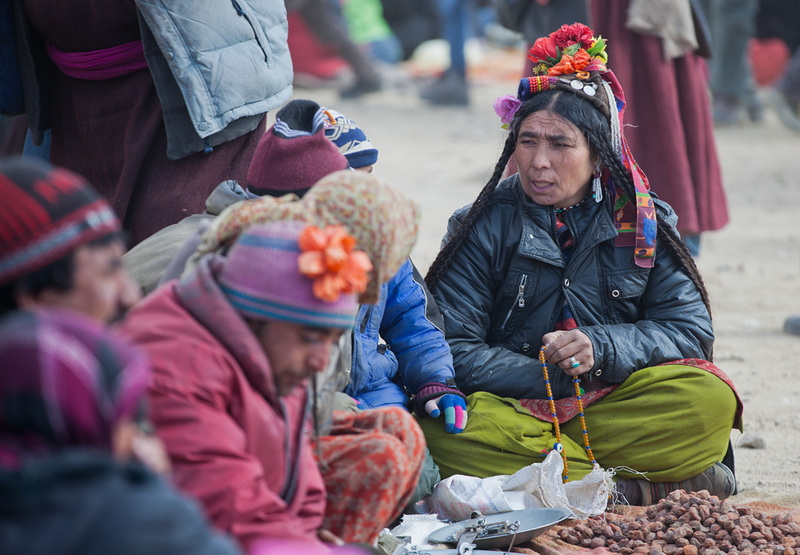 After the sudden boom in tourism, the city of Leh and its people on one side saw a cultural avalanche burying long cherished tradition and on the other side it brought sudden prosperity that brought a desire for more materialistic lifestyle. But the fragile ecosystem of these barren yet hauntingly mesmerizing mountainous regions is the laboratory, vanguard as well as first casualty of global warming along with the polar ice caps. These Himalayan glaciers provide drinking and irrigation waters to people of India, Pakistan, and China. So any disruption in the glacial melting rate here will lead to disaster in the most populous regions of the world. While I have read all this in books and seen on TV it was a different experience listening to this from somebody like his Eminence Thuksey Rinpoche. Who brings a totally different thought process something that only a blessed soul like him could share. 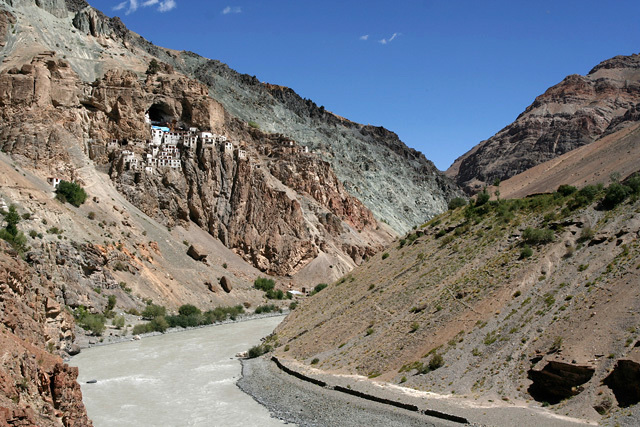 As per His Eminence, he considers Ladakh and the people of Himalayas not only the custodians of the borders of the country but also the custodians of the Glaciers and mountains that store the ice that melts to give life-giving water to all. As per him the people of Ladakh can not just sit and watch the effects of pollution / global warming and environmental degradation but need to actively work in preventing the same. The Drukpa order is contributing their part in the efforts. A dedicated team of volunteers, monks have walked around the mountains in “ Pad Yatra” or walking around mountains, river and lakes collecting trash, plastic, bottles and also planting local species of trees to bring back greenery that was lost due to various reasons. The compassion and empathy are not limited to environment and humans, the monastery has built an orphanage for stray dogs and is actively working on neutering stray dogs to control the population of stray dogs. They are also working closely with schools and colleges in the region to provide holistic education to students. So my friends, if you want to visit Leh, may I suggest visit it during the Naropa Festival Leh 2016 – ‘The Kumbh Mela of the Himalayas’ – to be held from 16-22 September 2016 . I am myself praying to the forces of Universe to let me be there and join another half a million visitors from around the world to see the largest gathering of people in a Buddhist festival in the Himalayas. 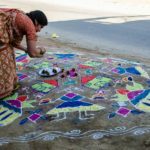 As the festival is celebrated only once in 12 years it is a rare occasion and you will get to experience not just the festival but the local way of life as many local families have opened up their homes for visitors during the festival. New Delhi, July 2016– Ladakh-based Drukpa Order- the leading sect of Himalayan Buddhism announced the dates for the ‘Naropa 2016’ – a grand spiritual celebration that happens once in 12 years. Christened after the Indian scholar-saint Naropa, this is the biggest and most prominent Buddhist festival in the world and attracts tourists from across the globe. Referred to as the “Kumbh Mela of the Himalayas”, the Naropa Festival 2016 commemorates the millennial birth anniversary of Naropa in a month-long celebration throughout September at Hemis Monastery, the seat of the Drukpa Order in Leh. 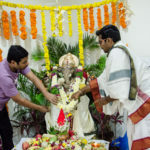 Half a million people are expected to attend the festival this year, that promises to be a unique mix of spirituality, culture, and diversity. It will feature performances by Bollywood celebrities and several high profile dignitaries from across the globe. His Eminence Drukpa Thuksey Rinpoche, one of the regents of the Drukpa Order, announced the dates of Naropa 2016 at the recently concluded Hemis Festival in Leh. Naropa is the patron Saint of the Drukpa Order whose life heralded the beginning of a rich tradition in Buddhist philosophy. 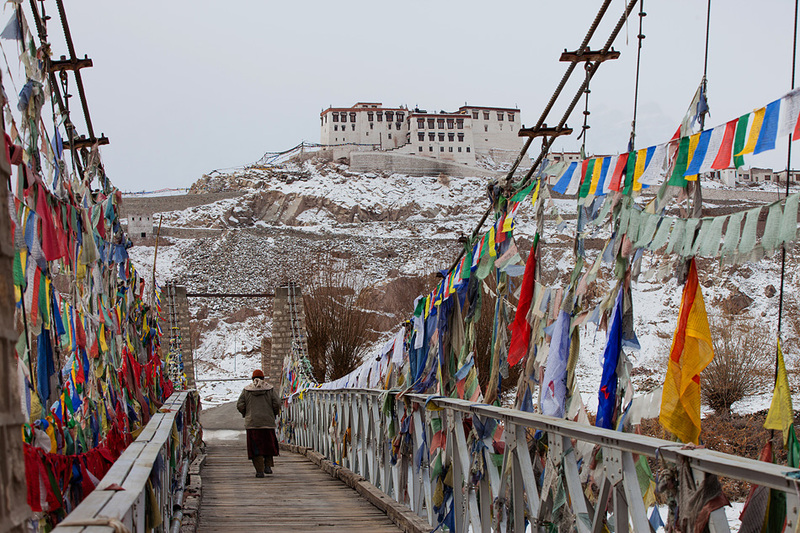 Himalayan Buddhism and its offshoots across Central Asia are steeped in the teachings of Naropa who played a defining role in shaping the culture and identity of various communities. Saint Naropa resided in Ladakh, where he mastered the “Six Yogas of Naropa.” These are now meditational pillars of Vajrayana Buddhism and are fundamental to nearly every school and lineage of the greater Himalayas. 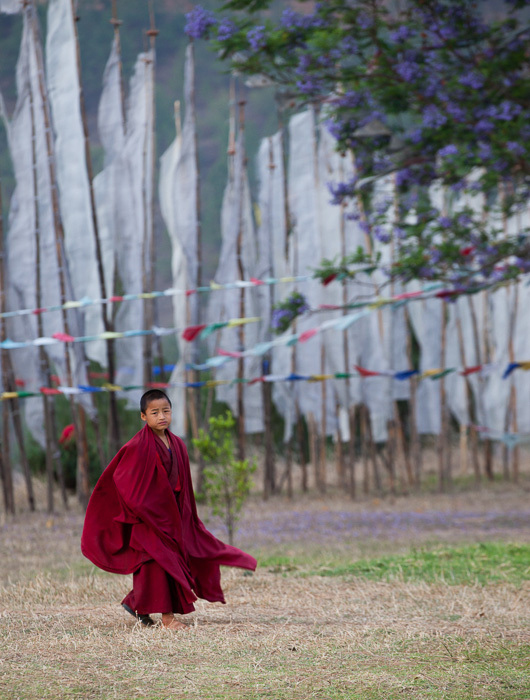 His message of experiential learning and active compassion continue to be the fundamental principles of the Drukpa Order and have earned the lineage a robust global following. The Naropa Festival will feature an elaborate ceremony where His Holiness the Gyalwang Drukpa– spiritual head of the Drukpa Order who is revered as Naropa’s reincarnation, shall don the Six Bone Ornaments that are the physical legacy of Saint Naropa– left behind after his liberation. ▪ Performances by Bollywood Choreographer Terence Lewis & his troupes. ▪ A special tribute Performance by Bollywood Singer Neeti Mohan to Saint Naropa. 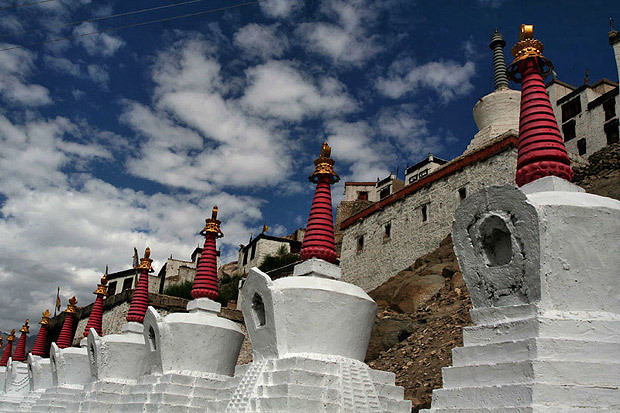 Arun is also the founder and Director of Darter Photography and leads photography tours to Ladakh. Good to know some helpful information about Naropa festival. Hahhah, Desi – this was epic! All kinds of people make this world, and you are so correct by saying people wear their travels as medals. Prasad you are becoming properly sarcastic! But I guess it is so needed! I was nodding my head all the way when you talked about people wearing their travels as medals arond their necks. I hope you make it to the festival and take Arun along with you! That’s interesting and new to me. Now, I am just planning to visit there to enjoy the cultural Naropa Festival. Thanks for sharing the information. Excellent critical views and I totally agree with your opinion on being ‘Lehed’. Thanks for the informative post. I wish to visit Leh during the Naropa Festival. 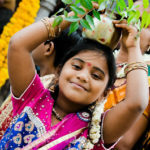 Great photos and post Prasad! Ah you really touched a chord! I went to Ladakh in 2007 way before the release of 3 Idiots and all the media attention that Ladakh later received. We stayed in a guest house run by locals near Shanti Stupa. At that time there were only 2 or 3 hotels in Leh and they were very expensive. Our guesthouse was family run and very basic. But it was beautiful with a gorgeous apple tree in the garden and they would serve Ladakhi food cooked with vegetables that they grew right there. As I keep reading about the flurry of tourists who go there now, it does break my heart as a) the place loses some of its charm b) there has to be some ecological repercussion of so many visitors going there, particularly on water levels. Someone told me its hard to get a picture of Pangong Tso without someone in the frame. 🙁 When we went we were the only ones there! I do hope that someone monitors this and puts in place some check to ensure that the balance is not lost. Setting a cap on the number of visitors maybe like what’s done in national parks might be a viable solution. The festival looks amazing! I do hope you make it and look forward to reading all about it! 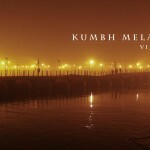 Yes, Arun’s pics are great inspiration to travel…. Comprehensive post and helpful post on Naropa festival. Glad to know more about the same.